Rich Tommaso takes Weiser up on his offer to draw a back-up story for his new comic. 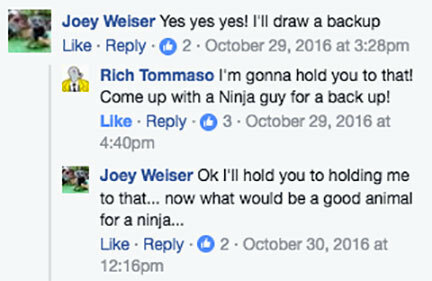 So not only do we get a new comic by Tommaso starring a secret agent seal, but we also get a ninja comic by Weiser. Win, win. Spy Seal #1 arrives Aug. 16.